Antique mourning ring made in 1900. Product code: 1340 Categories: Sold Items, Sold Rings. Antique mourning rings have a style and emotion all of their own, and this wonderful antique mourning ring was made in Birmingham in 1900. 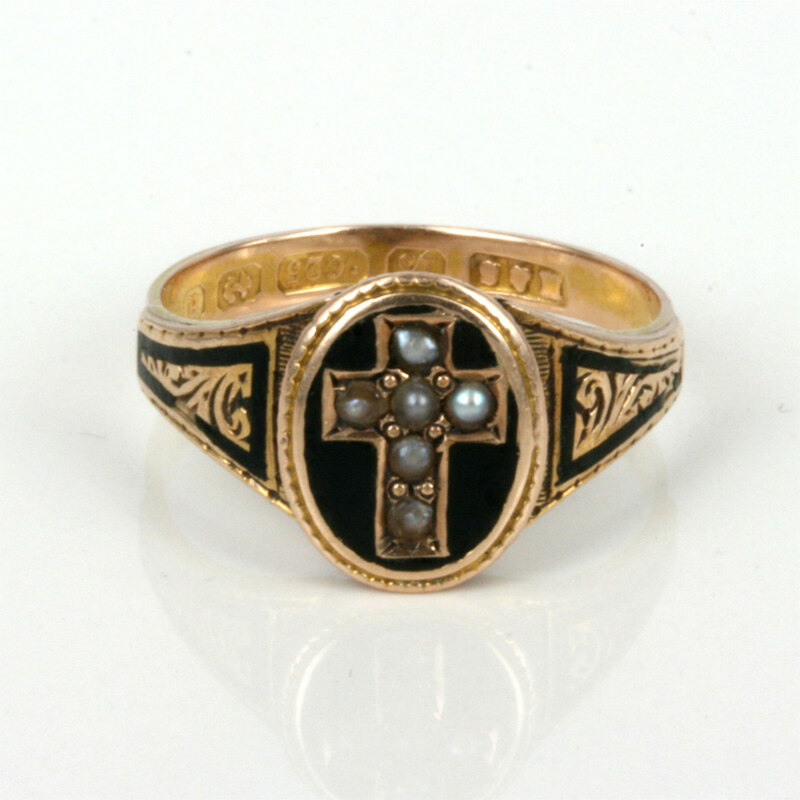 Made in 15ct rose gold, it is made with black enamel surrounding a cross set with 6 natural pearls, with the enamel continuing down each side amongst the hane engraving. The top of this ring measures 11mm x 8mm and sits very nice and flat on the finger. 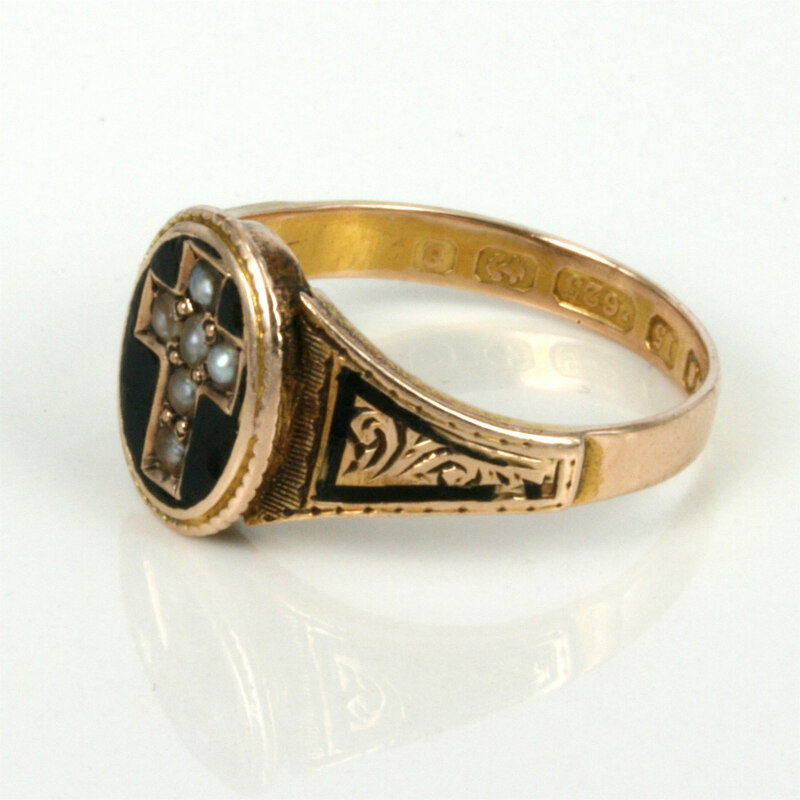 A wonderful antique mourning ring made in 1900.